I was enamoured with the large display when I first got it. I owned the iPad Air 2 at the time, and I found myself just leaving the tablet behind in my first few weeks of owning the 6S Plus. The screen felt just big enough to do surfing on; it had as much RAM as the iPad for browsing, and it had enough battery to really last me all day. All of these things combined made for such a novel experience. A complete computer in my pocket meant that I could walk out the door with just a phone and be totally ready for work. My Evernote notes were legible, and it was easy to write articles in iA Writer when needed. Several months later, the excitement around the large screen has largely abated. There are definitely periods where Iâ€™ve missed being able to tuck the iPhone into any pocket I want. The smaller iPhone 6S definitely feels more streamlined, and itâ€™s a gadget that you donâ€™t really need to make space for in your life. The 6S Plus, on the other hand, always lets you know itâ€™s there. You never forget that youâ€™re half sitting on it while itâ€™s in your back pocket, and you need to actually find spaces in coats and bags that fit the phone comfortably. Iâ€™ve tried using it as a front pocket phone, but it just gets in the way as I walk. I actually think I could go back to a smaller iPhone screen after using this one. I wouldnâ€™t go as far as getting an iPhone SE, but the 4.7″ screen on the iPhone 6S seems perfectly usable for how I use my phone. The thing is, Iâ€™m far less likely to switch back to a smaller phone because of the truly epic battery life on the 6S Plus. I wear an Apple Watch, and although I donâ€™t use it a ton throughout get the day, it definitely does take a toll on my phoneâ€™s battery. My iPhone 5S basically took a skydive in terms of lasting power after I picked up the Apple Watch. It would run out of battery at around 4â€“5pm, which forced me to keep an extra battery on me at all times. The 6S Plus, on the other hand, is just a titan. Itâ€™s regularly at 30â€“40% battery towards the end of my work day, and easily lasts me until I head to sleep. I use Bluetooth headphones both ways on my hour-long commute to work, and of course the Apple Watch paired to the 6S Plus at all times. Battery life is seriously fantastic on this phone, and itâ€™s so reliable that you donâ€™t even think about it in most cases. If Apple figures out a way to reduce power consumption on their smaller phones so that they can match this level of endurance, I would consider switching back to a smaller device just to make carrying a bit more convenient. But until that happens, the battery life on larger phones just seems too good to give up. I was actually really excited for 3D Touch when Apple first announced it. I thought it could be a great thing for typing on iPads, although I have since reconsidered that. The major use for 3D Touch on iOS is Peeking (pressing hard) and Popping (pressing harder!). Peeks will activate previews of the message or item you were pressing on, and Pops will turn those previews into full-on item views (as if you had tapped on the item to begin with). These looked so good in the Apple demos, and they were a really fun thing to play with for the first few days. But they almost immediately started to feel gimmicky because once you put in the effort to press hard, and then harderâ€¦you may as well have just tapped the screen to begin with. iOS 9 runs fast enough on the 6S Plus that it doesnâ€™t feel like any time is saved by using 3D Touch in this manner. A few apps, like OmniFocus 2, have started to use 3D Touch to activate extra options (basically like a touchscreen equivalent of a right-click). I like this idea a lot more, and I think itâ€™s truer to the vision behind 3D Touch: to give the screen extra dimension and save users some interaction time. The one place where 3D Touch does do a kickass job is the built-in cursor functionality for Appleâ€™s QuickType software keyboard. With a single hard press on the keyboard, I can suddenly use the whole of the keyboardâ€™s surface as a mini trackpad to move the text cursor around the screen. It doesnâ€™t work all the time, but it works enough of the time to be an actual added convenience and a great way to add some extra fine control to the iOS keyboard. Iâ€™d love for iOS 10 to expand on this a bit more with some sort of Siri or dictation tie-in. 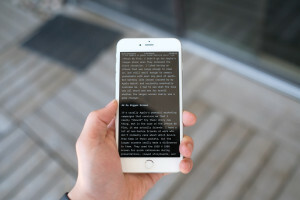 It would be great to 3D Touch on a text field and activate dictation, so that I could just tap on fields, dictate, and automatically fill them out. I like the idea behind Live Photos: you just shoot a picture as you normally would, but the iPhone automatically captures some video and audio before and after the shot, to give your image a little bit of extra context. Itâ€™s a really fun idea, and Iâ€™ve already captured some really great natural moments that were enhanced by the feature. The issue I have with Live Photos is that theyâ€™re not very easy to find, and not definitely not the norm in terms of sharing. You donâ€™t know whether a picture in your photo library is a Live Photo until youâ€™ve actually tapped on it. 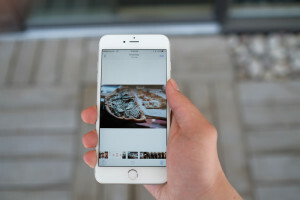 If itâ€™s a Live Photo, youâ€™ll see a small circular icon on the bottom-right of the screen to signify that you can 3D Touch (or long-press on nonâ€“6S devices) to play the Live Photo. This interface isnâ€™t hard to use, but it isnâ€™t very discoverable. Itâ€™s hard enough for me to find my Live Photos on my own device, but itâ€™s also difficult to communicate to someone else that Iâ€™ve sent them a Live Photo without telling them outright (â€œHey, play that picture I sent you!â€). The feature is fun, but thereâ€™s more that Apple could do to make its presence more obvious. Aside from battery life, the other big reason to get the larger class of iPhone is the optical image stabilization (OIS). This is an actual hardware component of the camera, which stabilizes the sensor to help compensate for camera shake at lower shutter speeds, or during video. What this means in pratise is sharper, more reliable photos in low light and much less shaky video. I actually havenâ€™t done a lot of low-light shooting in pubs or parties with the 6S Plus, as I prefer using my dedicated cameras in those cases. However, I can say that the video quality on the 6S Plus is astounding. Iâ€™ve filmed slo-mo video from a moving car and done time lapses (like the one above) from a moving train. The files that come out of the iPhone are good enough to rival my cameras. 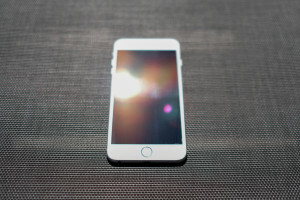 Whatâ€™s more: the iPhone 6S Plus is just so easy to use for video. You flick the camera to video mode and shoot away. Thereâ€™s no fussing around with autofocus drive modes or making sure your shutter speed is fast enough. In fact, writing about the camera now makes me feel guilty that I havenâ€™t done more with it over the past nine months. I currently own an iPhone 6S Plus and a 12.9-inch iPad Pro, so I own both larger classes of iOS device. Surprisingly, there are still clear-cut use cases for both. The 6S Plus is used more for situations where the large iPad is too ungainly to remove from my bag. Thatâ€™s the subway, my desk at work, and evenings after work where I just want to plop down on the couch and unwind for a bit. My iPhone is a quick hit of computing with a large enough screen to make the experience really enjoyable. There are also apps like Instagram, Darkroom, and Transit which are iPhone-only, so I only use the them there (I hate using iPhone apps on the iPad, even though itâ€™s technically possible to do so). I could foresee doing even more with this 5.5-inch phone, but weâ€™re still missing better first and third-party support. Even though this is Appleâ€™s second year of making an epically large phone, there are still surpassingly few apps that really design around the extra screen space. My recommendation for others thinking of moving to a bigger device this Fall is to think about the other devices you own. If youâ€™re also a heavy iPad user, then you can probably get by with a 4.7-inch device. However, if youâ€™re an iPhone user who also owns an Apple Watch, then that changes the equation entirely. I think youâ€™re really going to want the bigger iPhone to enjoy decent battery life alongside your Watch. When it comes down to it, I donâ€™t think itâ€™s the screen space or the Plus-optimized apps that are keeping me on this class of device: itâ€™s definitely that killer battery life.